Completely 538 clinical specimens of blood, wounds, burns, sputum, and urine were included in this study which was carried out in 4 hospitals. The isolation and diagnosis of fifty-two Acinetobacter baumannii isolate 36.54% from blood specimens, whereas wounds specimens constituted 23.08%, burns specimens achieved 17.31%, sputum specimens formed 13.46% and a low percentage was in urine specimens which accomplished 9.62 %. Totally isolates of bacteria were identified via the biochemical, cultural and microbial characteristics and confirmed via VITEK 2 Compact system. It was found that all (100%) of bacteria isolates were resistant to amoxicillin-clavulanic acid and Cefepime, while Imipenem and Meropenem were the most effective antibiotics. The isolates showed the ability of biofilm production by Microtitration plates method (M.T.P), from the total number (52) isolate tested for biofilm formation,(33) were producers, as strong biofilm producers were (15) 45.46 % and (18)54.54% moderate while (19) 36.53% isolates were measured as none or weak producers of biofilm. MIC for new hydantoin derivative (C11H11N3O2S) was determined against fifteen isolates were active in MIC values equal to 250mg/ml gave (9) A. baumannii isolates, while in MIC, values equal to 125mg/ml gave (6) isolates. The results showed the inhibitory effect of the hydantoin compound on biofilm formation for 15 bacterial isolates used in this study with a variable inhibitory effect on bacterial isolates ranged from 79.72% to 98.85%. The highest inhibitory effect percentage is (98.85%). I. Raheem, S. Hussain, R. Essa, and A.-J. 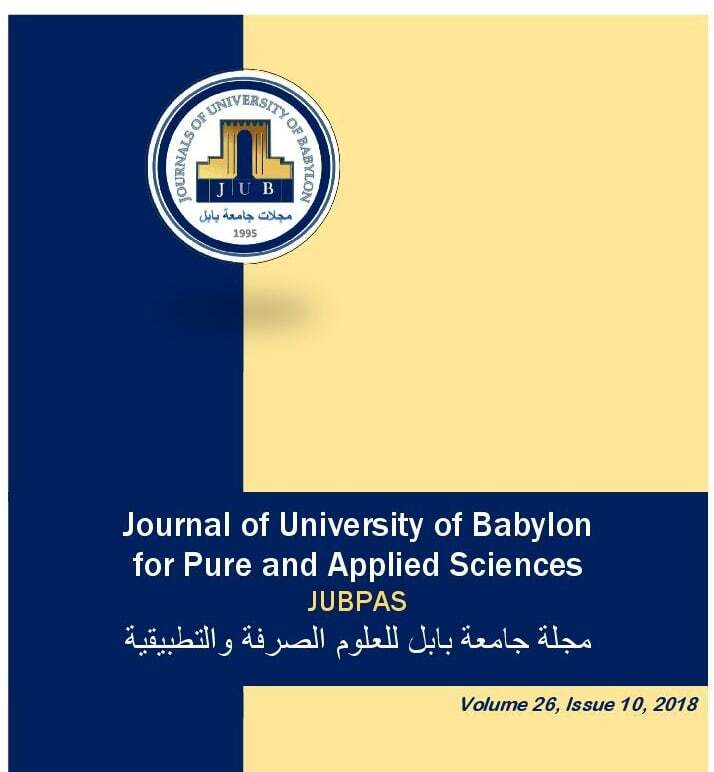 Atia, “The Effect of New Hydantoin Derivative (Compound) on Acinetobacter baumannii Biofilm Formation Isolated from Clinical Sources”, JUBPAS, vol. 26, no. 10, pp. 71 - 79, Dec. 2018.